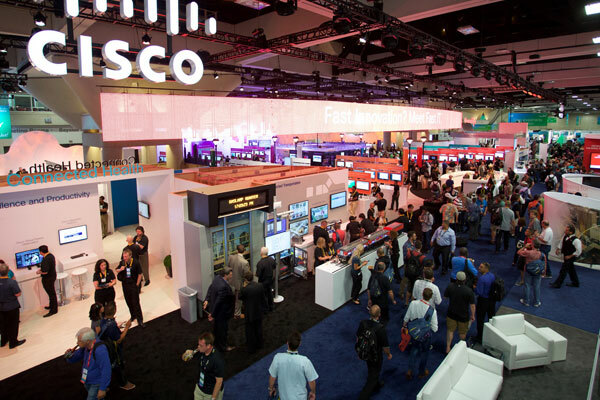 Having attended several Partner Summit's I thought I knew what to expect at a Cisco Live. We were a Showcase Partner and it was also our coming-out party. I am not sure how many tens of thousands of people were there but you can sure feel like you met them all by the end of the day. I like to meet people. I like to talk to them and learn their stories. I want to understand how people are measuring and managing their mission-critical systems. Talking to people is one of the best parts of my job. I was asked many times about Probit's UCS-Monitoring Tools. What is it? Why is it important? What does it do? The real answer is that we solve real problems. I have learned that System's Administrators and Network Directors do not like surprises. Without a way to monitor your network there is no way to manage it. And if you have to go out to numerous places to find a fix for your UCS Servers, then you are losing time and money searching for the failure and how to fix the issue. In 2010 I was part of the launching of Cisco's UCS Data-Center servers. I worked in bringing in Channel Partners to sell Cisco servers to new customers. Many of the partner community were burned by Oracle's acquisition of Sun and then the threat to take the Sun business direct. It hurt the channel community and opened the door for Cisco Data-Center Servers to launch at just the right time. Sun was never a factor once the partners began to push Cisco UCS. But we had challenges in systems monitoring and management. The Cisco UCS Server-Manager is not routinely used because it is seen as cumbersome and hard to understand. Initially, the Channel community found a new revenue stream in offering third-party Systems Monitoring solutions. But it couldn't scale and wasn't always secure. There was no system in place to see the health and performance of each part of a mission critical environment. Points of failure, such as Network Interface Cards couldn't be seen in Real Time. And - it certainly wasn't analytical in the sense of predicting future usage. This is where we come in. Probit Systems measures the health of your Cisco-UCS Servers from a single plane of glass. We make it easy to identify performance degradation and failure, while recommending fixes for each problem identified. Then we track network traffic, again, from one plane of glass. Nowhere else can you see such a granular view of every NIC card and Fabric Interconnect on your network in real-time. And - we also provide historical trending and suggestions that help customers plan for upgrades and asset management. 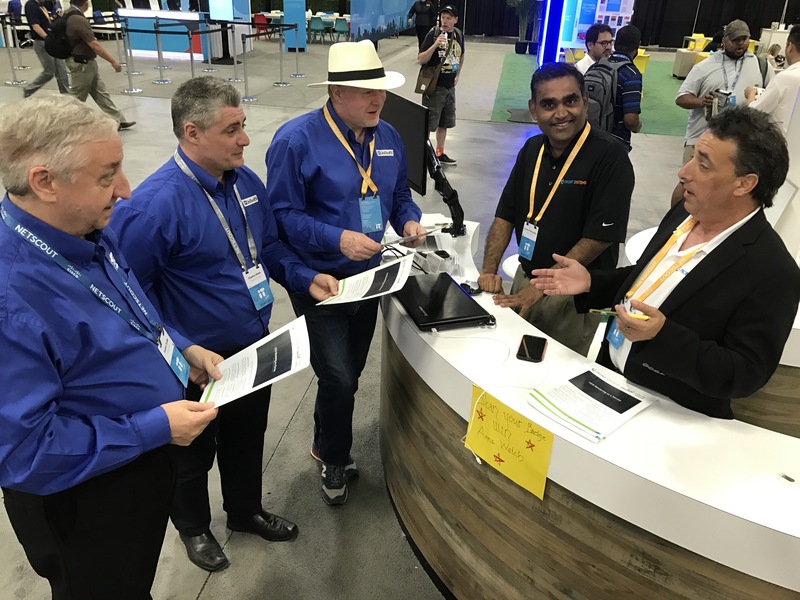 Customers who came by to see us over the week rapidly signed on for 30-day evaluations and an opportunity to measure UCS and Network performance. We earned rave reviews for our predictive analytics that takes historical trends and puts them into a forward looking tool that identifies anomalies that might otherwise be overlooked. Technology changes every day. We change from hardware to software and back again. Routers give way to switches. Video has not only been compressed and yet still improved. Fabric Interconnects change and make bandwidth more and more robust. Analytics tell all. Probit Systems does it all. But all this technology still has to have people behind it. Those people make the difference. We learn and grow and change. Our principle inventor behind Probit Systems is Jay Perumalsamy, (pictured here) and this happens to be his creation. He is always willing to tell his inspirational story of how he came up with this incredibly popular UCS-Cloud Monitoring solution. Having heard about the challenges customers were having in organizing, synthesizing, analyzing their data, Jay made it his mission to turn all of these data-points into real world solutions. It caught the attention of Cisco and they were soon working with Probit Systems as a compliment to their UCS Server Monitoring. n addition, behind our UCS tool is a team of people supporting and constantly developing upgrades and improvements. Our approach is to stay in-front of the technology curve in monitoring and measuring Server and Network performance. As the complexities of mission-critical systems grow, our approach is to grow ahead of them. Dedicated and customer oriented, our team continues to expand beyond current technology and is truly amazing.if you would like to learn more and receive a free evaluation for 30-days, please reach out to me personally. I am at the Vice President of Probit Systems and I am here to assist. rbluestein@probitsystems.com. You can also follow me on twitter at @robertbluestein.